Pullela Gopichand has, and is still giving back a lot to the sport of badminton in India is no secret. The former All-England champion turned badminton guru has a holistic, long-term target in mind to improve Indian badminton and take it to new heights to keep setting the bar high. 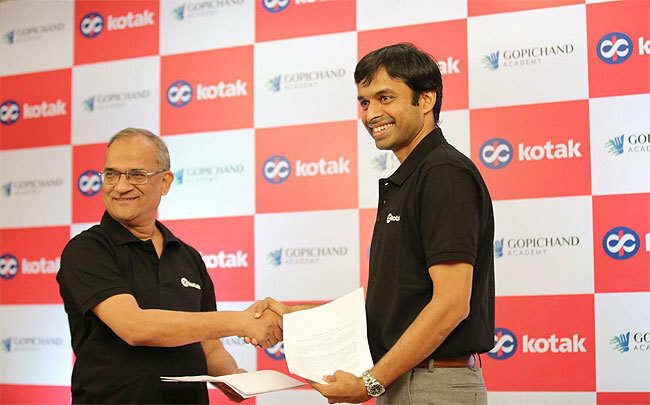 And his Foundation’s latest venture, in collaboration with a leading private bank is another step towards that.Kotak Mahindra Bank Ltd. (Kotak) on Monday announced its CSR Programme in sports, in collaboration with the Pullela Gopichand Badminton Foundation. This is a new step forward for Indian badminton overall. As part of the new alliance, Kotak, Pullela Gopichand and the Pullela Gopichand Academy, which is part of the Foundation, will work together to develop a world-class badminton training facility. This facility will have advanced infrastructure and amenities as well as international-standard coaches. As part of the programme, a high-performance training centre will be constructed. This centre will have six air-conditioned badminton courts in the existing premises and a Sports Science Centre. The aim is to have top-quality resident nutritionists, physiotherapists and strength and conditioning experts on board at the Sports Science Centre, for the all-round development of players. The target also will be to ensure that the level of badminton coaching at the academy is at par with global standards. Gopichand badminton academy will train and award certification to sports-persons of yesteryear. The Fellowship programme for coaches and players will be used to help talented, but, economically backward coaches and players, both within and outside the academy.